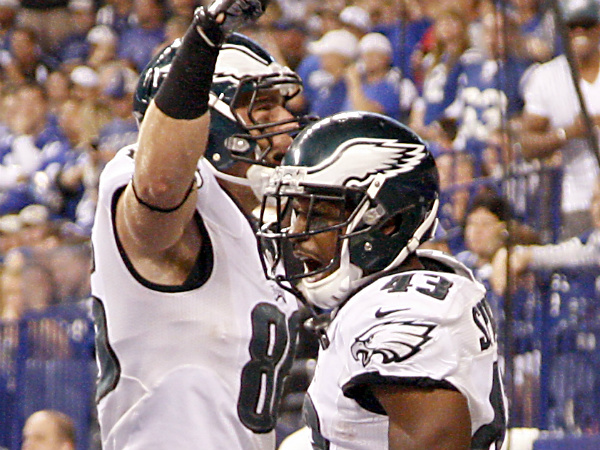 For the second straight game, the Philadelphia Eagles make a late surge and comeback to come away with the win, beating the Indianapolis Colts 30-27, getting plenty of help from the officiating and turnovers courtesy of Andrew Luck and Trent Richardson, proving to be the most costly as they fall to 0-2 so far this season. The first big mistake came when Trent Richardson, finally having a solid performance (79 yards, 21 carries) fumbled the ball on Indianapolis’ own 26 yard line, resulting in a short, five-play drive that ended with Darren Sproles running for a 19-yard touchdown and tying the game at 20-20. 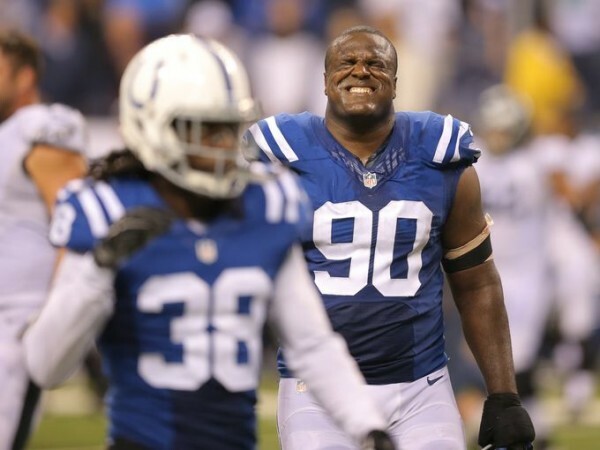 The second turnover came later in the game, with the Colts leading 27-20. A lot has been written about Luck’s ability in fourth quarters to turn things around, but some of it is luck and not just ability. And it seems the Colts didn’t have enough of it in this game. A pass intended for T.Y. Hilton was intercepted with 5:15 left in the game. Malcolm Jenkins was the one with the pick, but replays showed Hilton was grabbed before the turnover. A big, easy call for the flag-happy officials to make, but the Colts got screwed on that one. Just like before – the Eagles made the most of the turnover, going on a 76-yard drive in less than two minutes thanks to a 51-yard reception and run by Darren Sproles, capped off by Jeremy Maclin catching a 6-yard pass for a touchdown. That was the only touchdown throw by Foles on the day, who was also intercepted once, finishing with 21-of-37 for 337 yards. The Eagles held their ground on 3rd-and-5 on the next drive. Foles made two big passing plays to Zach Erta and Sproles, butting the Eagles in field goal distance, and Cody Parkey, who missed one earlier, finished the job. The Eagles trailed for most of the game, falling behind 6-20 early in the third quarter. Foles was finding it difficult to get anything going, from time to time enjoying the ability of LeSean McCoy who also ended up with a touchdown. But their defense made it difficult for Luck all game long to make the big play. Luck did throw three touchdown passes but finished with just 171 yards on 34 attempts, limited to only two completions on attempts more than 10 yards beyond the line of scrimmage. Since 2012, he’s one of the worst QBs in the league when it comes to making big plays downfield. The big hero for the Eagles was Sproles, who ran for 26 yards and a touchdown but was at his best of passes, finishing with 7 receptions for 157 yards, making things very easy for his teammates and Foles himself in a very big second half. Jeremy Maclin scored a touchdown for a fourth consecutive time, and although Luck wasn’t sacked once, the Eagles’ pressure took away anything he had going for him in the long ball game. This was the first time since Andrew Luck joined the Colts that they’ve lost back-to-back games in the regular season. An 0-2 start isn’t a reason to panic, but not being able to make big plays or stop the Eagles’ offense in the final 20 minutes of the game, getting outscored 24-7 during that stretch, is certainly something for Chuck Pagano to worry about. The Eagles know their 2-0 might be a bit deceiving, but winning while not playing well is usually a trait of teams that go a long way during the season.